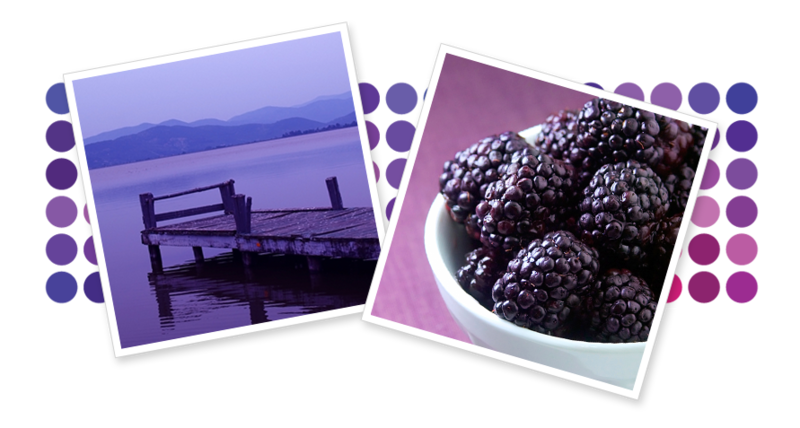 Purple is a romantic, sensual and introspective colour. When a redder shade is used it is vivacious while a bluer shade is more restful. Lavender is gaining in popularity and conveys refinement.